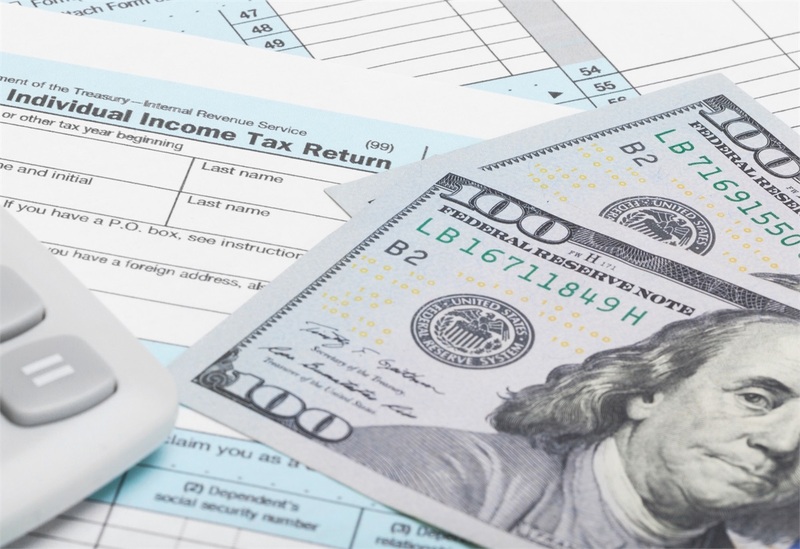 Taxes can take a big bite out of your total investment returns, so it's helpful to look for tax-advantaged strategies when building a portfolio. But keep in mind that investment decisions shouldn't be driven solely by tax considerations; other factors to consider include the potential risk, the expected rate of return, and the quality of the investment. Tax deferral is the process of delaying (but not necessarily eliminating) until a future year the payment of income taxes on income you earn in the current year. For example, the money you put into your traditional 401(k) retirement account isn't taxed until you withdraw it, which might be 30 or 40 years down the road! Compounding means that your earnings become part of your underlying investment, and they in turn earn interest. In the early years of an investment, the benefit of compounding may not be that significant. But as the years go by, the long-term boost to your total return can be dramatic. Let's assume two people have $5,000 to invest every year for a period of 30 years. One person invests in a tax-free account like a Roth 401(k) that earns 6% per year, and the other person invests in a taxable account that also earns 6% each year. Assuming a tax rate of 28%, in 30 years the tax-free account will be worth $395,291, while the taxable account will be worth $295,896. That's a difference of $99,395. This hypothetical example is for illustrative purposes only, and its results are not representative of any specific investment or mix of investments. Actual results will vary. The taxable account balance assumes that earnings are taxed as ordinary income and does not reflect possible lower maximum tax rates on capital gains and dividends, as well as the tax treatment of investment losses, which would make the taxable investment return more favorable, thereby reducing the difference in performance between the accounts shown. Investment fees and expenses have not been deducted. If they had been, the results would have been lower. You should consider your personal investment horizon and income tax brackets, both current and anticipated, when making an investment decision as these may further impact the results of the comparison. This illustration assumes a fixed annual rate of return; the rate of return on your actual investment portfolio will be different, and will vary over time, according to actual market performance. This is particularly true for long-term investments. It is important to note that investments offering the potential for higher rates of return also involve a higher degree of risk to principal. One of the best ways to accumulate funds for retirement or any other investment objective is to use tax-advantaged (i.e., tax-deferred or tax-free) savings vehicles when appropriate. Traditional IRAs — Anyone under age 70½ who earns income or is married to someone with earned income can contribute to an IRA. Depending upon your income and whether you're covered by an employer-sponsored retirement plan, you may or may not be able to deduct your contributions to a traditional IRA, but your contributions always grow tax deferred. However, you'll owe income taxes when you make a withdrawal. * You can contribute up to $5,500 (for 2017 and 2018) to an IRA, and individuals age 50 and older can contribute an additional $1,000 (for 2017 and 2018). Roth IRAs — Roth IRAs are open only to individuals with incomes below certain limits. Your contributions are made with after-tax dollars but will grow tax deferred, and qualified distributions will be tax free when you withdraw them. The amount you can contribute is the same as for traditional IRAs. Total combined contributions to Roth and traditional IRAs can't exceed $5,500 (for 2017 and 2018) for individuals under age 50. Employer-sponsored plans (401(k)s, 403(b)s, 457 plans) — Contributions to these types of plans grow tax deferred, but you'll owe income taxes when you make a withdrawal. * You can contribute up to $18,500 (for 2018, $18,000 for 2017) to one of these plans; individuals age 50 and older can contribute an additional $6,000 (for 2017 and 2018). Employers can generally allow employees to make after-tax Roth contributions, in which case qualifying distributions will be tax free. 529 plans — College savings plans and prepaid tuition plans let you set aside money for college that will grow tax deferred and be tax free at withdrawal at the federal level if the funds are used for qualified education expenses. These plans are open to anyone regardless of income level. Contribution limits are high — typically over $300,000 — but vary by plan. Coverdell education savings accounts — Coverdell accounts are open only to individuals with incomes below certain limits, but if you qualify, you can contribute up to $2,000 per year, per beneficiary. Your contributions will grow tax deferred and be tax free at withdrawal at the federal level if the funds are used for qualified education expenses. Series EE bonds — The interest earned on Series EE savings bonds grows tax deferred. But if you meet income limits (and a few other requirements) at the time you redeem the bonds for college, the interest will be free from federal income tax too (it's always exempt from state tax). Investors should consider the investment objectives, risks, charges, and expenses associated with 529 plans. More information about specific 529 plans is available in each issuer's official statement, which should be read carefully before investing. Also, before investing consider whether your state offers a 529 plan that provides residents with favorable state tax benefits. The availability of tax and other benefits may be conditioned on meeting certain requirements. There is also the risk that the investments may lose money or not perform well enough to cover college costs as anticipated. For withdrawals not used for qualified higher-education expenses, earnings may be subject to taxation as ordinary income and possibly a 10% federal income tax penalty. Tax deferred is not the same as tax free. "Tax deferred" means that the payment of taxes is delayed, while "tax free" means that no income taxes are due at all. For example, with a Roth IRA, after-tax dollars are contributed, but qualified distributions (those satisfying a five-year holding period and made after age 59½ or after becoming disabled) are free from federal income tax. Though tax considerations shouldn't be your only investing concern, by putting your money in tax-advantaged savings vehicles and investments when appropriate, you'll keep more money in your own pocket and put less in Uncle Sam's. *Withdrawals prior to age 59½ may be subject to a 10% federal income tax penalty unless an exception applies.